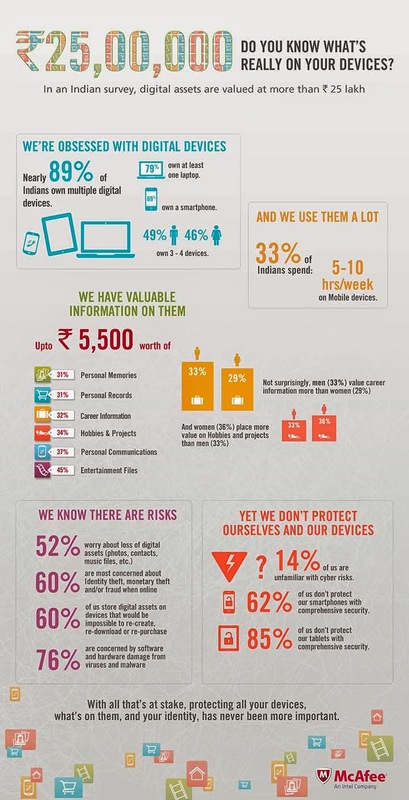 Digital Death has financial aspects to it. 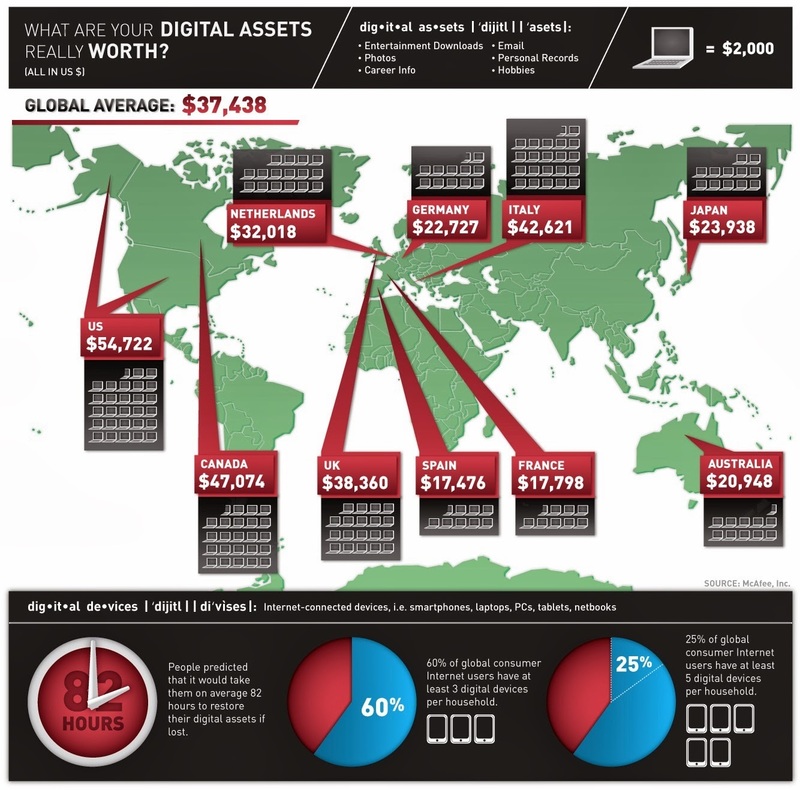 "Average Internet user has more than $37,000 in underprotected ‘Digital Assets’"
They wrote about this in their blog, too. That's a very good question: What's a password worth to you? But here is an even better question: How much will your passwords be worth to your loved ones, after you die, if they shall find themselves locked outside all of this? Iin December 2013, pwc (PricewaterhouseCoopers) published the results of a survey they held in England and Channel Islands, in which the citizens were requested to evaluate their digital lives. 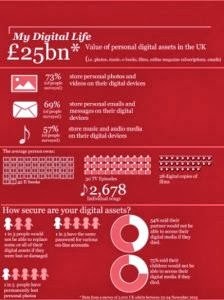 "UK consumers value their digital assets at £25 billion. This is the sum total of our personal digital assets – ranging from photos of loved ones to episodes of our favourite TV programmes. But the survey also reveals that in spite of spending over £50 billion a year buying goods and services online, many of us are not doing enough to protect the digital assets we value and spend so much of our incomes on. In fact, a third of us (31%) would not be able to replace some or any of the assets we have stored digitally if we lost them or they were compromised in some way". The results of the survey can be downloaded as a pdf here. I'll let you in on a little secret: after their death, their loved ones will not be able to replace some or any of the assets they have stored digitally - unless action was taken in advance. Channel Islands’ consumers value their digital lives at £68 million. "SCOTS have a huge collection of items stored digitally, with experts valuing it at more than £2 billion". "Tom Stuart was an active eBay member until he passed away in November 2007. His son, Darren, believes there could be up to £1,000 in his father's PayPal account. But he has been unable to gain access: his father left no will and no indication of what the password might be". In the third page of an article published even earlier, in 2007, in PC Pro, concerns were raised over potential loss of financial value, in ebay and etsy, for example, following a death. India has the second highest perceived value of their total digital assets, with an average cited value of US$ 41,589, preceded by North American (U.S. and Canada) having an average cited value of US$ 52,154. 60% store digital assets on devices that would be impossible to re-create, re-download or re-purchase. 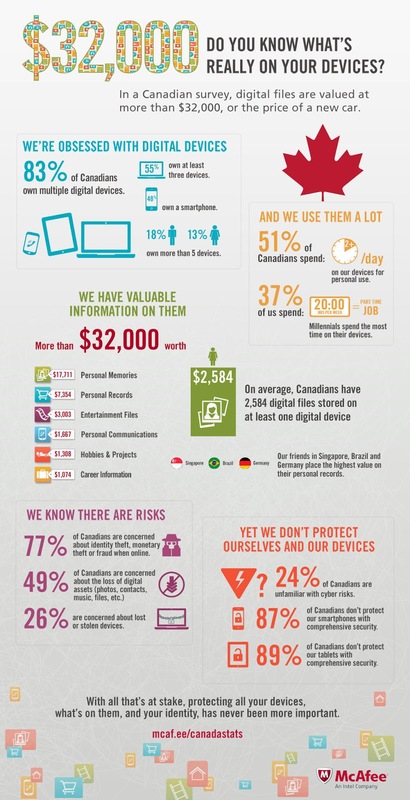 62% of respondents claimed that they do not protect smartphones with comprehensive security. 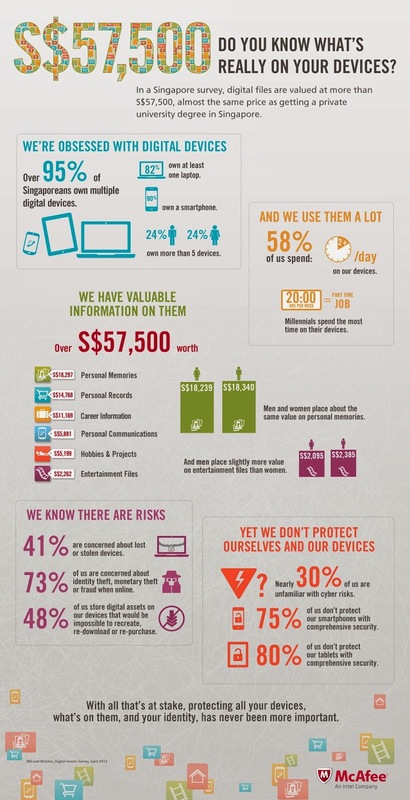 85% of respondents claimed that they do not protect tablets with comprehensive security. A local / international bank account in an online banking service, or access to an online interface of a local / international bank account. An account in online stores (ebay, etsy, etc). An account in Crowd Funding websites. An account in an online investment service (stock exchange, foreign currency, etc). An account in an online gambling service. An account in an online payment service (such as PayPal). Subscription that fees were already paid for, such as online gaming services: xbox live, entertainment services such as Netflix, Hulu, Amazon Prime or itunes, backup services such as Dropbox or Google, newspapers subscriptions such as for The New York Times. Virtual assets that exist inside online services: for instance, in many games you can accumulate assets which have a financial value, or virtual assets you can buy / sell – sometimes worth tens of thousands of dollars. Applications, music, books and movies which were purchased to be used either through a device such as iphone, ipad, kindle etc., or via a digital service, such as Amazon Prime. Web related online assets, such as domains, hosting accounts and the data in it - all the contents and ingredients of a web site. I hope this list will help motivate you into action: people who do not think their digital legacy is worth managing for sentimental reasons, might find it worth managing for financial reasons. A list of sites and companies offering simple, easy to use, free solutions for digital legacy management can be found here.